German auto parts giant Bosch has several different electrification programs. Bosch, one of the world’s largest automotive suppliers, has been exploring a plan to get into battery cell production in a big way to support the electrification of the industry. Bosch is the world’s largest automotive supplier and it is heavily investing in electric vehicle components to support the industry’s transition to electric vehicles. But there’s one important electric car component that Bosch is not making: battery cells. As a major automotive supplier, Bosch is very aware of the transition to electric transport and it aims to take part in it with important investments in new lines of products. We reported over a year ago that Bosch bought the solid-state battery start-up Seeo Inc. and has since been sparsely revealing details about its plan to bring new battery technologies to market by 2020 with a 50 kWh battery pack weighing only 190 kg. As we previously reported, Bosch, an important supplier for Tesla’s Autopilot program, also likes to use Tesla vehicles for its own autonomous driving programs. The latest example is a new self-driving Model S prototype financed in part by the Victorian Government and deployed in Australia today. BMW has a couple of initiatives to give a second life to used battery packs from its electric vehicles. 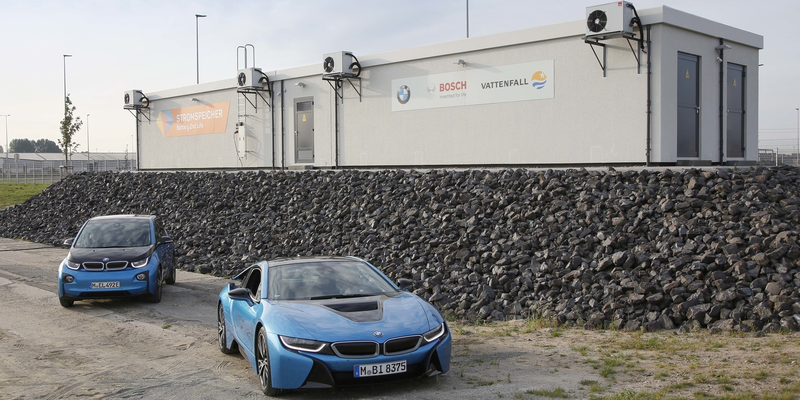 Earlier this year, the German automaker announced a wall mounted battery storage system, not unlike the Tesla Powerwall, using BMW i3 22 kWh or 33kWh battery packs.